Objectives of the eyewear photography training: learn and master the issues, specificities, and basics of object photography of the eye wear/optics industry, as well as the problematics for shooting transparent and reflective materials. Know how to position an object, choose and manage a suitable lighting, master macrophotographic shootings, and learn the basics of photographic post-processing. 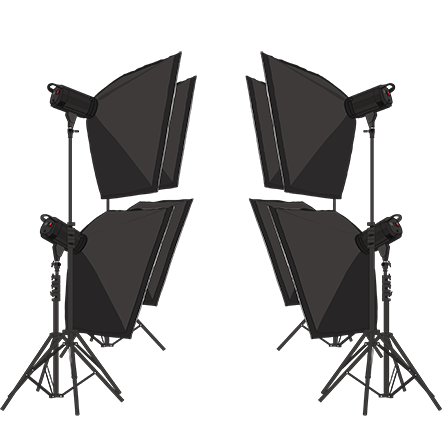 Method and educational resources: the training program takes place in a fully equipped photo studio with all necessary material. The provided photo equipment: Canon 1100D, 650D, or superior, objectives adapted to macrophotography. Software: PackshotCreator and PackshotViewer, Lightroom and Photoshop. Public:industry players in the eye wear & optical industry. Prerequisite : basic computer knowledge on PC or Mac. Photography applied to the eye wear & optics industry is difficult because of the reflections at the surface of glass, and because of their variety due to different types of glass and frames. Which visual to obtain in order to showcase these different products on the Internet, in a print catalogue, or for quality control? What are the codes of the eye wear market? In this highly competitive market, that has seen for several years now the emergence of several e-opticians, the buyer favors mediums which provide high quality visuals. Basic principles of shootings adapted to optics and eye wear: speed, aperture, sensitivity, and depth of focus. Prepare and place products: optical glasses, full-rim metal frames, plastic rims, with nylon thread, drilled, notched, or wrapping. Create a repeatability system of the object placement with reference points: a ghost image. 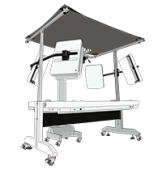 Install and adjust the lighting depending upon the size of the subject material (transparent, polarized, or reflective lenses). The frame greatly influences the characteristics of the lenses, their maintenance, and their insertion, both in terms of their thickness and of their base (curvature of the font side of the lens). These elements must be taken into account when making adjustments. Camera adjustments according to the product photographed. 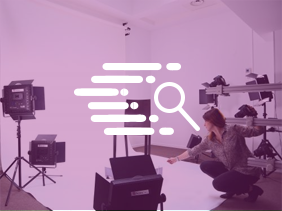 Although visual production is the work of photography specialists, training in the theoretical and practical fundamentals tied to the eye wear and optics industry enables you to master these aspects for the production of quality visual material. The trainee will be able to position and photograph products on a neutral background so that they are ready to be integrated into a catalogue, an e-commerce site for a database, or for quality control. Certificate of completion in Packshot eyewear photography training.